Firedrake, a young dragon, receives a frightening warning one night: Humans are planning to destroy the valley in which he lives! All the dragons must flee. Their only refuge is a place above the clouds called the Rim of Heaven -- which may not even exist. Firedrake boldly volunteers to go ahead first. As he embarks on his journey, he meets Ben, a runaway boy. 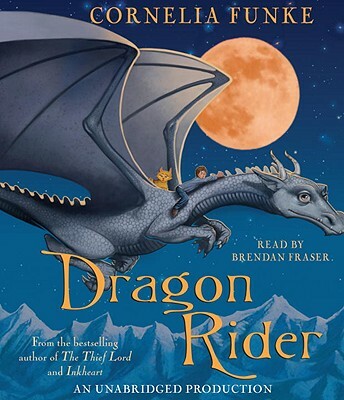 Together, the boy and the dragon make their way toward the Rim of Heaven, all the while running a step ahead of Nettlebrand, a monster who will stop at nothing to hunt down Firedrake. Their quest will truly become an adventure like no other. Cornelia Funke is Germany's bestselling children's author after J. K. Rowling and R. L. Stine. In the fall of 2002, she made her brilliant debut in the English language market with the release of The Thief Lord, the enchanting New York Times bestseller. She is also the author of the highly acclaimed novel Inkheart and the picture book The Princess Knight. Ms. Funke lives in Hamburg, Germany, with her family.